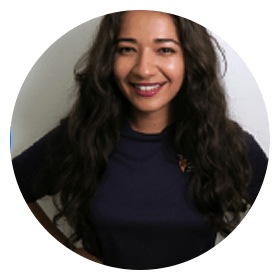 Aruna is originally from California and as a lifelong vegetarian, avid hiker, and passionate adventurer, she believes that we are what we eat and we feel what we do. Intense exercise and excellent food can and will revolutionize the way you feel and look. When it comes to training, she believes there are five key factors to success: consistency, intensity, variety, practicality, and safety. The time you spend training with her composes only a fraction of your waking hours. As such, Aruna helps her clients create and adhere to realistic and effective training schedules based on your individual needs and preferences. Aruna has a keen interest in motivation and behavior modification as well. She gets her clients working harder and smarter. Here is one of her favorite tips that you can use at home: Instead of battling with yourself when you just don’t feel like working out, plug in those earbuds and play your favorite pump-up song. Music is a neurostimulant that can drastically change the way you feel. It’ll send your pre-exercise motivation through the roof. Try it yourself!